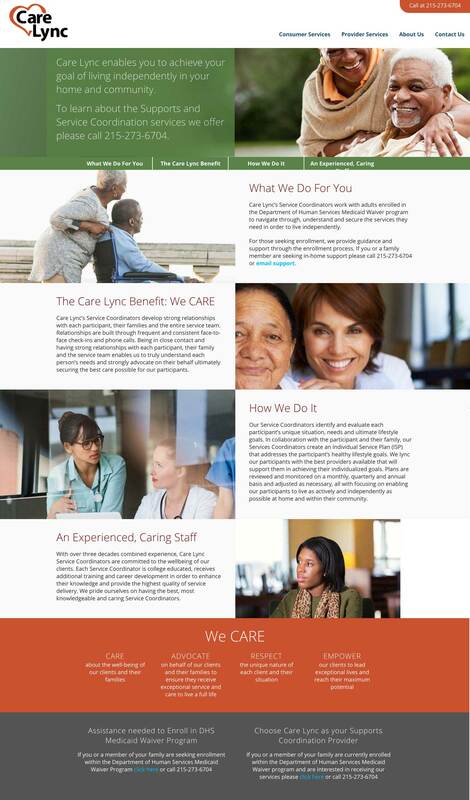 Care-lync, a Philadelphia base company, provides guidance and support to people seeking in-home support. 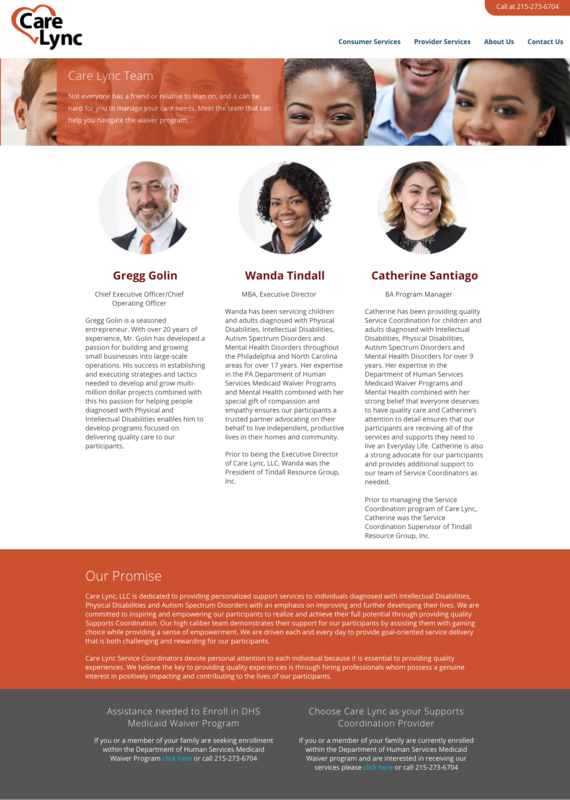 This business owner was ready to go to next level with his company. 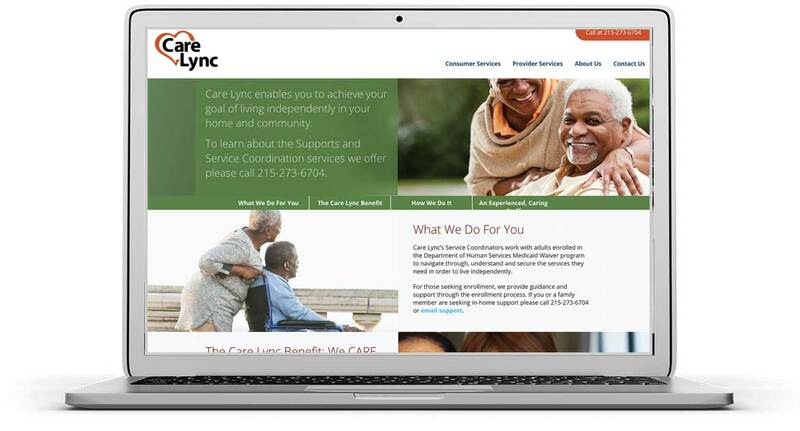 I worked with the owner to create a site that is engaging to the community they serve as well as service providers. 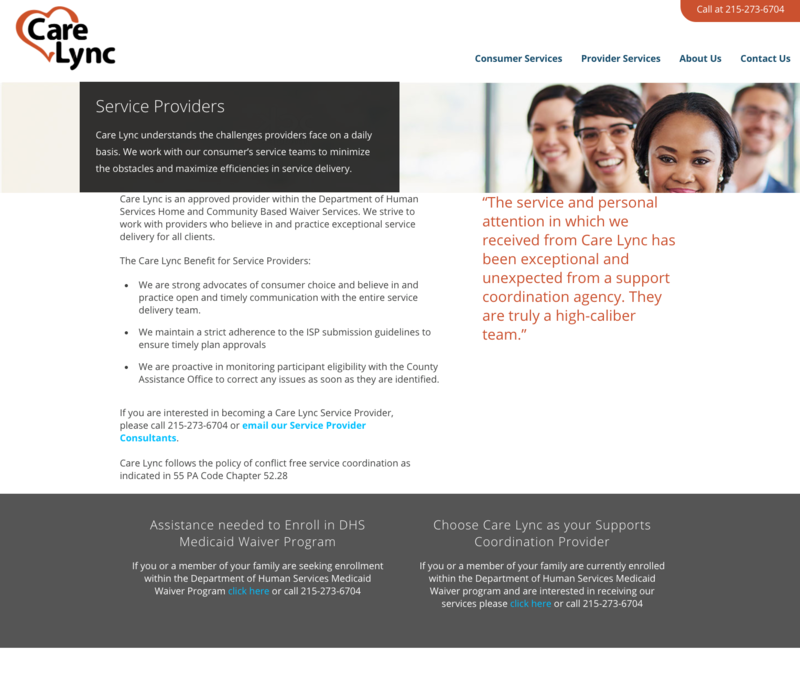 We ensured that clients and providers could reach Care-lync through desktop and mobile devices.